I held the inaugural Chair in Fisheries Science in the School of Veterinary and Life Sciences (formerly the School of Biological Sciences and Biotechnology) at Murdoch University , Western Australia and was the Director of the Centre for Fish, Fisheries and Aquatic Ecosystems Research from 2005 until 2012. In 2013, I became the Leader of the of Environmental and Conservation Sciences Cluster at Murdoch, a position that I held until February 2017. My title changed to Professor of Marine Ecology and Conservation to reflect my increasing research in the interface between fisheries and issues of conservation concern. I am also a member of the Asia Research Centre at Murdoch and in late 2015 became Chair of the Board for this Centre. Prior to joining Murdoch University in 2005, I spent 14 years with CSIRO, based in Queensland, investigating the linkages between coastal habitats, fisheries production (particularly penaeid prawns) and biodiversity and stock enhancement across northern Australia and. This included leading major interdisciplinary research teams on stock enhancement (Fisheries Research and Development Corporation of Australia, MG Kailis Group of Companies, CSIRO), biodiveristy of the Ningaloo reef system (CSIRO Collaboration Fund) and estuaries in Australia and southeast Asia (Australian Centre for International Agricultural Research, CSIRO). More recently, I have been developing research in ecosystem approaches to fisheries and cetacean populations, fisheries ecology and fisheries interactions with protected, threatened and endangered species on the west coast of Australia. I have supervised research students in the areas of fisheries ecology, trophic ecology of estuarine and marine ecosystems and the biology and behaviour of crustaceans. Currently I also teach undergraduates in Ecology, Marine and Estuarine Biology and the Sustainable Management of Fish and Wildlife populations. In February 2019, I had published over 130 papers in international journals, including major reviews of mangrove fishery linkages and stock enhancement, resulting in citation impact scores on Hirsches’ h factors of 40 in Scopus (4,454 citations, 131 documents, 1500 citations since 2014) and 45 in Google Scholar (7577 citations, i10 = 113; since 2014 h = 27, 2,754 citations, i10 = 80). I have been an invited co-editor for four Special Issues of journals – two for Fisheries Research (2006, 2016) and the others for Reviews in Fisheries Science (2008, 2013). Our Introduction and review article in the 2008 Reviews in Fisheries Science is one of the most highly cited articles in this journal. In addition to my publications in international journals, I have published over 40 major reports for funding bodies such as the Fisheries Research and Development Corporation of Australia and the Australian Centre for International Agriculture Research. I have also been an invited member of International Advisory Boards for interdisciplinary research projects for the Australian Centre of International Agricultural Research (Sea cucumber stock enhancement in the Pacific), and the University of Wageningen (Resilience of Coastal Systems in south-east Asia and Enhancement of tuna fisheries in the Western Pacific). I was the Co-convener of the 8th Indo-Pacific Fish Conference (Perth, 2009 with over 500 participants), a member of the International Scientific Committee for the International Symposia on Stock Enhancement and Sea Ranching (ISSESR, 2002 onwards) and the Chair of the International Scientific Committee for the 4th ISSESR (Shanghai, 2011 – over 150 participants) and the organising committee for ISSESR5 in Sydney (2015). I have been councillor for the Asian Fisheries Society (2011 to 2016), including time as Vice-President in 2014. My main undergraduate teaching is in the majors for Marine Science, Marine Biology, Conservation and Wildlife Biology and Biological Sciences through the units Sustainable Fish and Wildlife Populations (BIO241), Ecology (ENV241), and Marine Ecology (BIO377). I am the coordinator of BIO241 and co-coordinate ENV241. I endeavour to engage my students in understanding the important concepts and principles in these areas and illustrate them with examples from the primary literature and my research experience in temperate and tropical estarine and near-shore environments. I also have a passion for providing students with an understanding of designing studies (experimental design), and ways of exploring and analysing data to answer the main questions of the study. Approaches to assessing fisheries, particularly when information is limited. Much of my research is carried out in collaboration with colleagues at Murdoch University (Assoc. Prof. Lars Bejder, Dr Halina Kobryn, Mr Simon Allen) and other organisations including the University of Queensland (Assoc. Prof. Greg Skilleter), Griffith University (Prof. Stuart Bunn), CSIRO (Mr Mick Haywood, Mr Rob Kenyon, Dr Hector Lozano-Montes, Dr Jeffrey Dambacher), Challenger Institute (Mr Greg Jenkins) and Biospherics (Adj. Assoc. Prof. Jeremy Prince). 2012 William R. and Lenore Mote Eminent Scholar Chair in Fisheries Ecology -– salary and travel costs for up to 12 months. Award declined because of University restructure. 1990-92 CSIRO Post-doctoral Research Fellow, Dr Ian Poiner, CSIRO Cleveland Marine Laboratories. Tweedley, Loneragan, Gill (2012). Assessment of the fish fauna on salt production fields for Dampier Salt. Dampier Salt. Stage 1 ($70,000), Stage 2 ($400,000). Hodgson, Loneragan (2011). Dugong Research Plan for the Chevron Wheatstone development. Chevron ($70,000). Hodgson, Loneragan (2011-12). Dugong pre-dredging impact assessment of the Chevron Wheatstone development. Chevron. ($700,000). *Loneragan, Bejder, Allen. (2009-2010). Mitigation of dolphin by-catch in Pilbara Finfish Trawl Interim Fisheries. Co-Investigators: Joll L (DoF), Stewart G (WAFIC). Funding from FRDC, DoF, Industry ($150,000 over 18 months). *Bejder, Allen, Bryant, Kruetzen, Pollock, Loneragan (2010-2012). Genetic Structure and Abundance of Fishery-Impacted Dolphin Populations of the Pilbara region North-Western Australia. Australian Marine Mammal Centre. $360,000. *Loneragan NR, Hesp A (2008-11). Establishment of self-sustaining facility for fisheries modelling and multivariate analysis, and for effective management of extremely large databases. FRDC 2008/304 ($300,000). *Suthers (CI) (UNSW), Loneragan (CI), Taylor, Grey (2008-2010). ARC Linkage. Stocking of fish and prawns at ecologically determined densities into Australian estuaries. ARC-Linkage. $174,358. Bejder, Loneragan, Bradley (2007-2011). Large-scale dolphin research program in south-west, Australia. Bunbury Dolphin Discovery, Worsley Aluminium, City of Bunbury, Department of Conservation and Environment, Bunbury Port Authority, Cable Sands. ($340,000 over 4 years). 2007-2011. – submitted twice for ARC Linkage but not successful. *Loneragan, Beckley, Kobryn, van Keulen. (2006-2011). Reef use, biodiversity and socio-economics for integrated management strategy evaluation of Ningaloo”. Research Leader: Professor Neil Loneragan; Project Leaders from six Universities, Sustainable Tourism CRC and CSIRO. Funding from the CSIRO Wealth from Oceans Flagship Collaboration Fund. $2.3 million over 4 years. About $1 million to Murdoch. *Loneragan, Hesp, Kobryn (2008). Assessment of abalone stocks in areas proposed as sanctuary zones of the proposed Capes Marine Park. Co-investigators Hart A – Department of Fisheries WA, Prince J – Biospherics. $58,000 for 12 months. Hall, Loneragan, Blockley (2007-2010). Trophic interactions and ecosystem modelling for Ecosystem Based Fisheries Management. WAMSI $242,000. Bejder, Allen, Loneragan (2007). Impacts of Pearl Oysters aquaculture on Bottlenose Dolphins in Port Stephens NSW. Port Stephens Pearls. $22,468. *Loneragan (2006-2010). Evaluating how food webs and the fisheries they support are affected by fishing closures in Jurien Bay, temperate Western Australia. Co-Investigators Babcock, Okey, Dambacher (CSIRO). FRDC $344,887. Effects of spatial arrangement of estuarine habitats on their use by fish and prawns in a subtropical estuarine system. Skilleter G, and Loneragan NR. Special Symposium on Advances in habitat/fauna relationships for the International Symposium on Wetlands, Cairns, Australia July 2006. Future directions for prawn stock enhancement. Special Symposium on “Marine Stock Enhancement” at the 7th Asian Fisheries Forum, Penang, Malaysia, November 2004. Does the arrangement of coastal habitats influence fisheries production and biodiversity. Special Symposium on “New Approaches to habitat fishery relationships” at the Estuarine Research Foundation Conference, Ballina, NSW, Australia. 20th June, 2004. Co-organiser (with Dr Greg Skilleter, University of Queensland). Investigating connections between coastal habitats and fishery production. Invited key-note speaker for CSIRO Marine Strategic Fund for the Marine Environment (SRFME) postgraduate student symposium. Perth, Western Australia, 16th June, 2004. *Potential for the use of prawn populations as indicators for estuarine and coastal ecosystem health. Indian Ocean Global Ocean Observation Systems, Perth, Western Australia, September 2003. *Ecological research to enhance understanding and the management of prawn fisheries in northern Australia. ACIAR funded workshop at the Indian National Institute of Oceanography, Goa, November 2002. *An approach to evaluating the potential for stock enhancement of brown tiger prawns (Penaeus esculentus) in Exmouth Gulf, Western Australia. (NR Loneragan, PJ Crocos, R Barnard, S Lehnert, PC Rothlisberg). Kobe, Japan, January 31st to 4th February 2002. *The importance of mangroves to the prawn fisheries of western peninsular Malaysia (NR Loneragan, Adnan AN, MDE Haywood, RM Connolly). ICLARM workshop on Mangrove/Fisheries relationships. Penang, Malaysia, November 6 to 8, 2001. Variability in the ecological role of mangroves for fishes in northern Australia (NR Loneragan, S.J.M. Blaber, G.A. Skilleter, D.J. Vance). ICLARM workshop on Mangrove/Fisheries relationships. Penang, Malaysia, November 6 to 8, 2001. 2007-2011 Chair of the International Scientific Committee for the 4th International Symposium on Stock Enhancement and Sea Ranching. Shanghai Ocean University, China, April 2011. 2007-2009 Chair of the 8th Indo-Pacific Fish Conference, Fremantle Western Australia, July 2009. 2007-2009 Dr Hector Lozano-Montes. From the University of British Columbia. Assessing the impact of fishery closures on food webs in Jurien Bay, temperate Western Australia. (funded by the FRDC). 1993-1994 Dr Liu Heng. from the Chinese Institute of Oceanology, Qingdao, Peoples Republic of China. Response of tiger prawn postlarvae to light and seagrass. (Liu and Loneragan (1997) publication in JEMBE). 2013- Marianne Nyegaard: Murdoch Univeristy, Perth. Biology of sunfish in Nusa Lembongan, Indonesia. 2011- Simon Allen: Murdoch University, Perth. Evaluating abundance, connectivity and threats to bottle nose dolphins in north-western Australia. 2011- Vanessa Jaiteh: Murdoch University, Perth. Predators as livelihoods: Shark fisheries and their significance to livelihoods in eastern Indonesia. 2011- Amanda Buckland: Murdoch University, Perth. Feeding ecology in estuaries of south-western Australia. 2010-12 Dr Thea Linke: Murdoch University, Perth. Functioning of estuarine food webs in south-western Australia. 2010- Julian Tyne: Murdoch University, Perth. Spinner dolphins, ecotourism and evaluating the role of area-time closures in managing dolphin-tourism interactions. 2007- Shannon McCluskey: Murdoch University, Perth. Dolphin prey dynamics in Koombana Bay, south-western Australia. 2007- Mark Allen: Murdoch University, Perth. Biodiversity of fishes in the Raja Ampat region of eastern Indonesia. 2006-2012 Dr Nathalie Toon: Murdoch University, Perth. Factors affecting the behaviour of western rock lobster and its catchability. 2000-2004 Dr Fiona Manson: University of Queensland, Brisbane. Mangroves and fisheries: are there links coastal habitats and fisheries production (co-supervised by Assoc. Prof. Greg Skilleter and Professor Stuart Phinn, University of Queensland). 1998-2002 Dr Justin Meager: Queensland University of Technology, Brisbane. Microhabitat distribution of juvenile banana prawns, Penaeus merguiensis de Man in subtropical eastern Australia and processes affecting their distribution and abundance. Ph.D Thesis. Queensland University of Technology. 221 pp. (Supervised by Dr Ian Williams, QUT). 1997-2002 Simon Constanzo: University of Queensland, Brisbane. Estimation of the extent of sewage nitrogen on aquatic primary productivity. (supervised by Dr Bill Dennison, UQ). 1997-2005 Dr Darrin Drumm: University of Otago, Dunedin, New Zealand. Habitats and macroinvertebrate fauna of the reef-top of Rarotonga, Cook Islands: implications for fisheries and conservation management. University of Otago. 1989-1990 Dr Scott McKinley. University of Waterloo. Physiology of sturgeon in northern Ontario lakes. 1989-1990 Yosef Tekligordias: University of Waterloo, Canada. Age and growth of Tilapia populations in Ethiopian lake systems. (supervisor Professor Power, University of Waterloo). 2011-12 Douglas Anderson: Murdoch University, Perth. Whale shark movement and migration patterns at Ningaloo Reef. (First Class). Co-supervisors Dr Halina Kobryn (Murdoch University), Mr Brad Norman. 2011 Aurelie Labbe: Murdoch University, Perth. Developing indicators of ecosystem health from seabirds: bridled terms in south-western Australia. (First Class). Co-supervisor, Dr Nick Dunlop, Conservation Commission. 2009 Nick Konzewitsch: Murdoch University, Perth. Interaction of the western rock lobster with lobster pots. (Class 2A). 2009 Vanessa Jaiteh: Murdoch University, Perth. Behaviour of bottle nose dolphins around fish trawl nets in the Pilbara Trawl Fishery. (First Class). Co-supervisors Mr Simon Allen (Murdoch University), Dr Jessica Meeuwig (University of Western Australia). 2008 Renae Larson: Murdoch University, Perth. Characteristics and biology of octopus in the fisheries of Western Australia. (First Class). Co-supervisor, Dr Martin de Graaf, Department of Fisheries WA. 2008 Julian Tyne: Murdoch University, Perth. Investigating the affect of sponge distribution on sponging behaviour by dolphins in Shark Bay, Western Australia. (First Class). 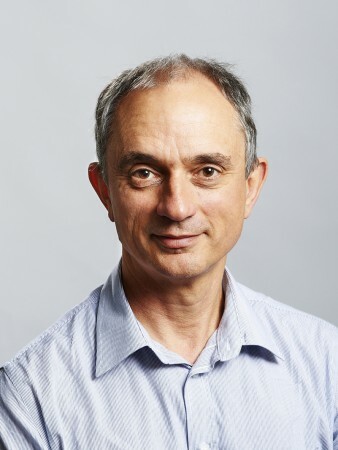 Co-supervisor, Dr Lars Bejder (Murdoch Univesity). 1999 Michaela Guest: Griffith University, Brisbane, Australia. Developing sampling strategies for seagrass fish communities over large areas (First Class). Tyne, J., Loneragan, N., Bejder, L., (2014),The use of spatial-temporal closures as a tool to manage cetacean-watch tourism.,In: Whaling-watching, sustainable tourism and ecological management, Cambridge University Press, pages 242 to 262. Dichmont, C., Loneragan, N., Brewer, D., Poiner, I., (2007),Partnerships towards sustainable use of Australia's Northern Prawn Fishery,In: Fisheries Management: Progress towards sustainability, Wiley-Blackwell, pages 207 to 230. Loneragan, N., Crocos, P., Barnard, R., McCulloch, R., Penn, J., Ward, R., Rothlisberg, P., (2004),An approach to evaluating the potential for stock enhancement of brown tiger prawns (Penaeus esculentus Haswell) in Exmouth Gulf, Western Australia,In: Stock Enhancement and Sea Ranching, 2nd Edition: Development, Pitfalls and Opportunities, Blackwell Science Ltd./Fishing News Books, pages 444 to 464. Skilleter, G., Loneragan, N., (2003),Assessing the importance of coastal habitats for fisheries, biodiversity and marine reserves: a new approach taking into account "habitat mosaics",In: Aquatic protected areas what works best and how do we know? : World Congress on Aquatic Protected Areas, Australian Society for Fish Biology, pages 240 to 249. Carter, D., Heggerl, E., Loneragan, N., (2003),Role of Marine Protected Areas in the management of the Australian Northern Prawn Fishery,In: Aquatic protected areas what works best and how do we know? : World Congress on Aquatic Protected Areas, Australian Society for Fish Biology, pages 545 to 547. Poh, B., Tweedley, J., Chaplin, J., Trayler, K., Crisp, J., Loneragan, N., (2019), Influence of physico-chemical and biotic factors on the distribution of a penaeid in a temperate estuary,	Estuarine, Coastal and Shelf Science, 218, 5 Mar 2019, . Nyegaard, M., Loneragan, N., Hall, S., Andrew, J., Sawai, E., Nyegaard, M., (2018), Giant jelly eaters on the line: Species distribution and bycatch of three dominant sunfishes in the Southwest Pacific,	Estuarine, Coastal and Shelf Science, 207, , . Sprogis, K., King, C., Bejder, L., Loneragan, N., (2018), Frequency and temporal trends of shark predation attempts on bottlenose dolphins (Tursiops aduncus) in temperate Australian waters,	Journal of Experimental Marine Biology and Ecology, 508, , . Poh, B., Tweedley, J., Chaplin, J., Trayler, K., Loneragan, N., (2018), Estimating predation rates of restocked individuals: The influence of timing-of-release on metapenaeid survival,	Fisheries Research, 198, , pages 165 - 179. Crisp, J., Loneragan, N., Tweedley, J., D'Souza, D., Poh, B., (2018), Environmental factors influencing the reproduction of anestuarine penaeid population and implications for management,	Fisheries Management and Ecology, 25, 2018, pages 203 - 219. Germanov, E., Marshall, A., Bejder, L., Fossi, M., Loneragan, N., (2018), Microplastics: NoSmall Problem for Filter-Feeding Megafauna,	Trends in Ecology & Evolution, 33, 4, . Wu, Z., Zhang, X., Dromard, C., Tweedley, J., Loneragan, N., (2018), Partitioning of food resources among three sympatricscorpionfish (Scorpaeniformes) in coastal watersof the northern Yellow Sea,	Hydrobiologia: the international journal on limnology and marine sciences, Online Sept 2018, , pages -. Greenwell, C., Coulson, P., Tweedley, J., Loneragan, N., (2018), Regional differences in the feeding of the ambush predator Neosebastes pandus and comparisons of diets in the Scorpaenidae, Triglidae and Platycephalidae,	Journal of Fish Biology, 93, 1 July 2018, pages 95 - 109. Jaiteh, V., Loneragan, N., Warren, C., (2017), The end of shark finning? Impacts of declining catches and fin demand on coastal community livelihoods,	Marine Policy, 82, , pages 224 - 233. Skilleter, G., Loneragan, N., Olds, A., Zharikov, Y., Cameron, B., (2017), Connectivity between seagrass and mangroves influences nekton assemblages using nearshore habitats,	Marine Ecology - Progress Series, 573, , . Buckland, A., Baker, R., Loneragan, N., Sheaves, M., (2017), Standardising fish stomach content analysis: The importance of prey condition,	Fisheries Research, 196, , . Jaiteh, V., Hordyk, A., Braccini, M., Warren, C., Loneragan, N., (2017), Shark finning in eastern Indonesia: Assessing the sustainability of a data-poor fishery,	ICES Journal of Marine Science: journal du conseil, 74, 1, pages 242 - 253. Allen, S., Pollock, K., Bouchet, P., Kobryn, H., McEligott, D., Nicholson, K., Smith, J., Loneragan, N., (2017), Preliminary estimates of the abundance and fidelity of dolphins associating with a demersal trawl fishery,	Scientific Reports, 7, 1, pages 4995 - 4995. Halim, A., Wiryawan, B., Loneragan, N., Sondita, M., Hordyk, A., Adhuri, D., Adi, T., Adrianto, L., (2017), CONCEPT OF FISHERIES MANAGEMENT RIGHTS AS A MANAGEMENT TOOL FOR SUSTAINABLE FISHERIES IN INDONESIA,	Jurnal Penelitian Perikanan Indonesia, 9, 1, . Nyegaard, M., Sawai, E., Gemmell, N., Gillum, J., Loneragan, N., Yamanoue, Y., Stewart, A., (2017), Hiding in broad daylight: molecular and morphological data reveal a new ocean sunfish species(Tetraodontiformes: Molidae) that has eluded recognition,	Linnean Society. Zoological Journal: an international journal, 182, 3, . Tyne, J., Loneragan, N., Johnston, D., Pollock, K., Williams, R., Bejder, L., (2016), Evaluating monitoring methods for cetaceans,	Biological Conservation, 201, , pages 252 - 260. Jaiteh, V., Lindfield, S., Mangubhai, S., Warren, C., Fitzpatrick, B., Loneragan, N., (2016), Higher abundance of marine predators and changes in fishers' behaviour following spatial protection within the world's biggest shark fishery,	Frontiers in Marine Science, 3, 43, pages 1 - 15. Allen, S., Bryant, K., Kraus, R., Loneragan, N., Kopps, A., Brown, A., Gerber, L., Krutzen, M., (2016), Genetic isolation between coastal and fishery-impacted, offshore bottlenose dolphin (Tursiops spp.) populations,	Molecular Ecology, 25, 12, pages 2735 - 2753. Wu, Z., Zhang, X., Lozano-Montes, H., Loneragan, N., (2016), Trophic flows, kelp culture and fisheries in the marine ecosystem of an artificial reef zone in the Yellow Sea,	Estuarine, Coastal and Shelf Science, 182, , pages 86 - 97. McCluskey, S., Bejder, L., Loneragan, N., (2016), Dolphin prey availability and calorific value in an Estuarine and Coastal Environment,	Frontiers in Marine Science, 3:30. doi 10.3389/fmars.2016.00030, , pages 1 - 23. Hordyk, A., Ono, K., Valencia, S., Loneragan, N., Prince, J., (2015), A novel length-based empirical estimation method of spawning potential ratio (SPR), and tests of its performance, for small-scale, data-poor fisheries,	ICES Journal of Marine Science: journal du conseil, 72, 1, pages 217 - 231. Hordyk, A., Loneragan, N., Prince, J., (2015), An evaluation of an iterative harvest strategy for data-poor fisheries using the length-based spawning potential ratio assessment methodology,	Fisheries Research, 171, , pages 20 - 32. Webster, F., Babcock, R., Van Keulen, M., Loneragan, N., (2015), Macroalgae Inhibits Larval Settlement and Increases Recruit Mortality at Ningaloo Reef, Western Australia,	PLoS One, 10, 4, pages -. Dambacher, J., Rothlisberg, P., Loneragan, N., (2015), Qualitative mathematical models to support ecosystem-based management of Australia's Northern Prawn Fishery,	Ecological Applications, 25, 1, pages 278 - 298. Prince, J., Hordyk, A., Valencia, S., Loneragan, N., Sainsbury, K., (2015), Revisiting the concept of Beverton - Holt life-history invariants with the aim of informing data-poor fisheries assessment,	ICES Journal of Marine Science: journal du conseil, 72, 1, pages 194 - 203. Hordyk, A., Ono, K., Sainsbury, K., Loneragan, N., Prince, J., (2015), Some explorations of the life history ratios to describe length composition, spawning-per-recruit, and the spawning potential ratio,	ICES Journal of Marine Science: journal du conseil, 72, 1, pages 204 - 216. Tyne, J., Johnston, D., Rankin, R., Loneragan, N., Bejder, L., (2015), The importance of spinner dolphin (Stenellalongirostris) resting habitat: implications formanagement,	Journal of Applied Ecology: ecology with management relevance, 52, 3, pages 621 - 630. Metcalf, S., Dambacher, J., Rogers, P., Loneragan, N., Gaughan, D., (2014), Identifying key dynamics and ideal governance structures for successful ecological management,	Environmental Science & Policy, 37, , pages 34 - 49. Allen, S., Tyne, J., Kobryn, H., Bejder, L., Pollock, K., Loneragan, N., (2014), Patterns of dolphin bycatch in a North-Western Australian trawl fishery,	PLoS One, 9, 4, pages 0 - 0. Anderson, D., Kobryn, H., Norman, B., Bejder, L., Tyne, J., Loneragan, N., (2014), Spatial and temporal patterns of nature-based tourism interactions with whale sharks (Rhincodon typus) at Ningaloo Reef, Western Australia,	Estuarine, Coastal and Shelf Science, 148, 0, pages 109 - 119. Jaiteh, V., Allen, S., Meeuwig, J., Loneragan, N., (2014), Combining in-trawl video with observer coverage improves understanding of protected and vulnerable species by-catch in trawl fisheries,	Marine & Freshwater Research: advances in the aquatic sciences, 65, 9, pages 830 - 837. Jaiteh, V., Allen, S., Meeuwig, J., Loneragan, N., (2013), Subsurface behavior of bottlenose dolphins (Tursiops truncatus) interacting with fish trawl nets in northwestern Australia: Implications for bycatch mitigation,	Marine Mammal Science, 29, 3, pages E266 - E281. Loneragan, N., Kangas, M., Haywood, M., Kenyon, R., Caputi, N., Sporer, E., (2013), Impact of cyclones and aquatic macrophytes on recruitment and landings of tiger prawns Penaeus esculentus in Exmouth Gulf, Western Australia,	Estuarine, Coastal and Shelf Science, 127, 0, pages 46 - 58. Loneragan, N., Jenkins, G., Taylor, M., (2013), Marine Stock Enhancement, Restocking, and Sea Ranching in Australia: Future Directions and a Synthesis of Two Decades of Research and Development,	Reviews in Fisheries Science, 21, 42828, pages 222 - 236. Lorenzen, K., Agnalt, A., Blankenship, H., Hines, A., Leber, K., Loneragan, N., Taylor, M., (2013), Evolving Context and Maturing Science: Aquaculture-Based Enhancement and Restoration Enter the Marine Fisheries Management Toolbox,	Reviews in Fisheries Science, 21, 42828, pages 213 - 221. Labbe, A., Dunlop, J., Loneragan, N., (2013), Central place foraging and feather regrowth rate in bridled terns (Onychoprion anaethetus): An insight from stable isotopes,	Marine & Freshwater Research, 64, 12, pages 1184 - 1191. Lozano-Montes, H., Loneragan, N., Babcock, R., Caputi, N., (2013), Evaluating the ecosystem effects of variation in recruitment and fishing effort in the western rock lobster fishery,	Fisheries Research, 145, , pages 128 - 135. Tyne, J., Loneragan, N., Kopps, A., Allen, S., Krutzen, M., Bejder, L., (2012), Ecological characteristics contribute to sponge distribution and tool use in bottlenose dolphins Tursiops sp.,	Marine Ecology - Progress Series, 444, , pages 143 - 153. Allen, S., Cagnazzi, D., Hodgson, A., Loneragan, N., Bejder, L., (2012), TROPICAL INSHORE DOLPHINS OF NORTH WESTERN AUSTRALIA UNKNOWN POPULATIONS IN A RAPIDLY CHANGING REGION,	Pacific Conservation Biology: a journal dedicated to conservation and wildlife management in the Pacific region, 18, 42767, pages 56 - 63. Ochwada-Doyle, F., Gray, C., Loneragan, N., Suthers, I., Taylor, M., (2012), Competition between wild and captive-bred Penaeus plebejus and implications for stock enhancement,	Marine Ecology - Progress Series, 450, , pages 115 - 129. Lozano-Montes, H., Babcock, R., Loneragan, N., (2012), Exploring the effects of spatial closures in a temperate marine ecosystem in Western Australia: A case study of the western rock lobster (Panulirus cygnus) fishery,	Ecological Modelling, 245, , pages 31 - 40. Bejder, L., Hodgson, A., Loneragan, N., Allen, S., (2012), Coastal dolphins in north-western Australia: The need for re-evaluation of species listings and short-comings in the Environmental Impact Assessment process,	Pacific Conservation Biology: a journal dedicated to conservation and wildlife management in the Pacific region, 18, 42767, pages 22 - 25. Ochwada-Doyle, F., Gray, C., Loneragan, N., Taylor, M., Suthers, I., (2011), Spatial and temporal variability in the condition of postlarval and juvenile Penaeus plebejus sampled from a population subjected to pilot releases,	Aquaculture Environment Interactions: international and multidisciplinary journal, 2, 1, pages 15 - 25. Lozano-Montes, H., Loneragan, N., Babcock, R., Jackson, K., (2011), Using trophic flows and ecosystem structure to model the effects of fishing in the Jurien Bay Marine Park, temperate Western Australia,	Marine & Freshwater Research: advances in the aquatic sciences, 62, 5, pages 421 - 431. Drumm, D., Loneragan, N., Ellis, N., Skilleter, G., (2011), THE SIGNIFICANCE OF HABITAT AND EXPOSURE TO THE REEF FLAT MACROINVERTEBRATES OF RAROTONGA COOK ISLANDS FOR CONSERVATION PLANNING,	Pacific Conservation Biology: a journal dedicated to conservation and wildlife management in the Pacific region, 17, 4, pages 320 - 337. Hordyk, A., Loneragan, N., Diver, G., Prince, J., (2011), A cost-effective alternative for assessing the size of deep-water fish aggregations,	Marine & Freshwater Research: advances in the aquatic sciences, 62, 5, pages 480 - 490. Tyne, J., Loneragan, N., Krutzen, M., Allen, S., Bejder, L., (2010), An integrated data management and video system for sampling aquatic benthos,	Marine & Freshwater Research: advances in the aquatic sciences, 61, 9, pages 1023 - 1028. Ochwada, F., Gray, C., Loneragan, N., Taylor, M., (2010), Using experimental ecology to understand stock enhancement: Comparisons of habitat-related predation on wild and hatchery-reared Penaeus plebejus Hess,	Journal of Experimental Marine Biology and Ecology, 390, 1, pages 65 - 71. Ochwada, F., Loneragan, N., Gray, C., Suthers, I., Taylor, M., (2009), Complexity affects habitat preference and Predation mortality in postlarval Penaeus plebejus: Implications for stock enhancement,	Marine Ecology - Progress Series, 380, , pages 161 - 171. Loneragan, N., Bell, J., Leber, K., Lee, B., Masuda, R., (2008), A new era for restocking, stock enhancement and sea ranching of Coastal Fisheries resources,	Reviews in Fisheries Science, 16, , pages 1 - 9. Loneragan, N., Okey, T., Prince, J., (2008), Contraction of the banana prawn (Penaeus merguiensis) fishery of Albatross Bay in the Gulf of Carpentaria, Australia,	Marine & Freshwater Research: advances in the aquatic sciences, 59, , pages 383 - 390. Loneragan, N., Ye, Y., Kenyon, R., Haywood, M., (2006), New directions for research in prawn (=shrimp) enhancement and the use of models in providing directions for research,	Fisheries Research, 80, , pages 91 - 100. Bell, J., Bartley, D., Lorenzen, K., Loneragan, N., (2006), Restocking and stock enhancement of coastal fisheries: potential, problems and progress,	Fisheries Research, 80, , pages 1 - 8. Guest, M., Connolly, R., Lee, S., Loneragan, N., Brietfuss, M., (2006), Mechanism for the small scale movement of carbon among estuarine habitats: organic matter transfer not crab movement,	Oecologia, 148, , pages 88 - 96. Meager, J., Williamson, I., Loneragan, N., Vance, D., (2005), Habitat selection of juvenile banana prawns, Penaeus merguiensis de Man: testing the roles of habitat structure, predators, light phase and prawn size,	Journal of Experimental Marine Biology and Ecology, 324, , pages 89 - 98. Drumm, D., Loneragan, N., (2005), Reproductive biology of Holothuria leucospilota in the Cook Islands and the implications of traditional fishing of gonads on the population biology,	New Zealand Journal of Marine and Freshwater Research: international journal of aquatic science, 39, , pages 141 - 156. Zharikov, Y., Skilleter, G., Loneragan, N., Taranto, T., Cameron, B., (2005), Mapping and characterising spatial arrangements of coastal habitats using aerial photography and GIS, for wildlife conservation and management in a subtropical estuarine system,	Biological Conservation, 125, , pages 87 - 100. Loneragan, N., (2005), Bioeconomic modelling and risk assessment of tiger prawn (Penaeus esculentus) stock enhancement in Exmouth Gulf, Australia,	Fisheries Research, 73, , pages 231 - 249. Manson, F., Loneragan, N., Harch, B., Skilleter, G., Williams, L., (2005), A broad-scale analysis of links between fisheries production, mangrove extent, and other environmental factors,	Fisheries Research, 74, , pages 69 - 85. Manson, F., Loneragan, N., Skilleter, G., Phinn, S., (2005), An evaluation of the evidence for linkages between mangroves and fisheries: A synthesis of the literature and identification of research directions,	Oceanography and Marine Biology: an annual review, 43, , pages 483 - 513. Loneragan, N., Adnan, N., Connolly, R., Manson, F., (2005), Prawn landings and their relationship with the extent of mangroves and shallow waters in western peninsular Malaysia,	Estuarine, Coastal and Shelf Science, 63, , pages 187 - 200. Skilleter, G., Olds, A., Loneragan, N., Zharikov, Y., (2005), The value of intertidal patches of seagrass to prawns depends on their proximity to mangroves,	Marine Biology: international journal on life in oceans and coastal waters, 147, , pages 353 - 365. Bell, J., Rothlisberg, P., Munro, J., Loneragan, N., Nash, W., Ward, R., Andrew, N., (2005), Restocking and stock enhancement of marine invertebrate fisheries,,	Advances in Marine Biology, 49, , pages 1 - 374. Guest, M., Connolly, R., Loneragan, N., (2004), Carbon movement and assimilation by invertebrates in estuarine habitats at a scale of metres,	Marine Ecology - Progress Series, 278, , pages 27 - 34. Kenyon, R., Loneragan, N., Manson, F., Vance, D., Venables, W., (2004), Allopatric distribution of juvenile red-legged banana prawns (Penaeus indicus H. Milne Edwards, 1837) and juvenile white banana prawns (Penaeus merguiensis De Man, 1888), and inferred extensive migration, in the Joseph Bonaparte Gulf, northwest Australia,	Journal of Experimental Marine Biology and Ecology, 309, , pages 79 - 108. Loneragan, N., (2004), Within patch and estuarine variability in delta 13C and delta 15N for three estuarine producers Sporobolus virginicus, Zostera capricorni, and epiphytes of Z. capricorni,	Aquatic Botany, 79, , pages 87 - 94. Haywood, M., Manson, F., Loneragan, N., Toscas, P., (2003), Investigation of artefacts from chronographic tethering &#8211; interactions between tethers and predators,	Journal of Experimental Marine Biology and Ecology, 290, , pages 271 - 292. Manson, F., Loneragan, N., Phinn, S., (2003), Spatial and temporal variation in distribution of mangroves in Moreton Bay, subtropical Australia,	Estuarine, Coastal and Shelf Science, 57, , pages 657 - 670. Meager, J., Vance, D., Loneragan, N., Williamson, I., (2003), Seasonal variation and environmental influences on juvenile banana prawn (Penaeus merguiensis) abundance in a subtropical estuary (Logan River) of eastern Australia,	Estuarine, Coastal and Shelf Science, 57, , pages 569 - 576. Meager, J., Vance, D., Williamson, I., Loneragan, N., (2003), Microhabitat distribution of juvenile Penaeus merguiensis de Man and other epibenthic crustaceans within a mangrove forest in subtropical Australia,	Journal of Experimental Marine Biology and Ecology, 294, , pages 127 - 144. Guest, M., Connolly, R., Loneragan, N., (2003), Seine nets and beam trawls compared by day and night for sampling fish and crustaceans in shallow seagrass habitat,	Fisheries Research, 64, , pages 185 - 196. Vance, D., Haywood, M., Heales, D., Kenyon, R., Loneragan, N., (2002), Distribution of juvenile penaeid prawns in mangrove forests in a tropical Australian estuary, with particular reference to Penaeus merguiensis,	Marine Ecology - Progress Series, 228, , pages 165 - 177. Ahman, A., Loneragan, N., Connolly, R., (2002), Variability of, and the influence of environmental factors on, the recruitment of postlarval and juvenile Penaeus merguiensis in the Matang mangroves of Malaysia,	Marine Biology: international journal on life in oceans and coastal waters, 141, , pages 241 - 251. Constanzo, S., O'Donohue, M., Dennison, W., Loneragan, N., Thomas, M., (2001), A New Approach for Detecting and Mapping Sewage Impacts,	Marine Pollution Bulletin: the international journal for marine environmental scientists, engineers, administrators, politicians and lawyers, 42, , pages 149 - 156. Loneragan, N., Heales, D., Haywood, M., Kenyon, R., Pendrey, R., Vance, D., (2001), Estimating the carrying capacity of seagrass for juvenile tiger prawns (Penaeus semisulcatus): enclosure experiments in high and low biomass seagrass beds,	Marine Biology: international journal on life in oceans and coastal waters, 139, , pages 343 - 354. Manson, F., Loneragan, N., McLeod, I., Kenyon, R., (2001), Assessing techniques for estimating the extent of juvenile prawn habitats: topographic maps, aerial photographs and Landsat TM imagery,	Marine & Freshwater Research: advances in the aquatic sciences, 52, , pages 787 - 792.